Last week article was all about reducing your injury risk to stay healthy so you can keep training consistently. Training consistently allows you to improve. For those of you who participate in races, this week's article will discuss how to improve your athletic performance with another simple exercise. The biggest muscle we have in the human body is the big and very strong gluteus maximus muscle (there are also two smaller gluteus medius and gluteus minimus muscles). The gluetus maximus muscle extend our hips. This is evident when we're climbing stairs, running up slopes and especially if you're having to sprint for the finish line. My patients who run tell me they often go to the gym to do strengthening exercises as well to get stronger. Often they are told by their personal trainers to make their quadriceps stronger. Nothing against making the quads stronger, but if you're hoping to improve your sprint performance by doing lots of squats then you should consider another exercise. Researchers studied whether training the gluteus maximus or the quadriceps stronger was more effective for performance found that the hip thrust exercise (for gluteus maxamus) more specific and better gains transferred to running/ sprinting (Gonzalez-Garcia et al, 2019). What exactly is a hip thrust? The easiest way to do it is lying on a firm surface with your knees bent and lift your buttocks (also known as bridging). You can add resistance by doing it with a elastic band around your waist to make it more difficult. In the hospitals, this exercise is often given to patients who are recuperating from surgery. To progress, you can bridge on an unstable surface like a gym ball with both legs followed by single leg (picture above). If you're in the gym, while facing upwards, you can rest your arms and neck on a bench and bridge with your knees bent. I've also seen gym rats resting a loaded barbell on the hips to make it more difficult. All the above described exercises are all suitable and good if you want to make your hip extensors (gluteus maximus) stronger. However, they are all done lying down, i.e. in a non weight bearing position. In running, you are definitely upright and not lying down. Hence, my preferred way to make the gluteus maximus stronger is in a standing position with an elastic band. Lean forward slightly with your back straight and straighten your right leg against the resistance of the elastic band. Repeat with good form until fatigue and do the same with your left leg. I find that this way of strengthening the gluteus maximus is more specific and mimics the running posture. Strength gains are more easily transferred. Gonzalez-Garcia J, Morencos E et al (2019). Effects Of 7-Week Hip Thrust Versus Back Squt Resistance Training On Performance In Adolescent Female Soccer Players. Sports. 7(4): 80. DOI: 10.3390/sports7040080. *Taken from page 46 and 47 with my iPhone X from one of my favorite books "The Olympians" by Sebastian Coe with Nicholas Mason. 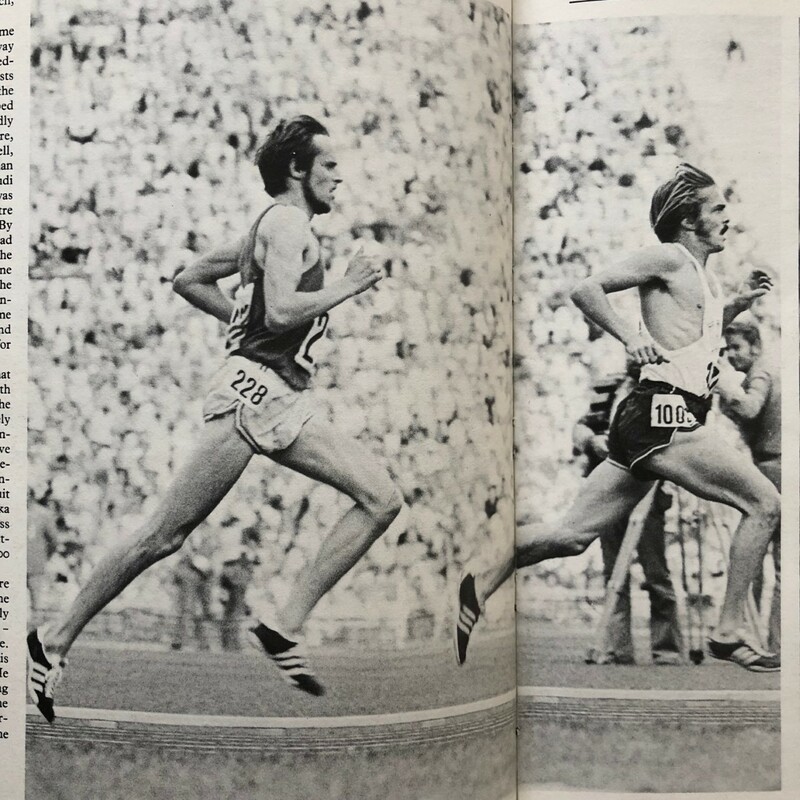 You see Steve Prefontaine leading Lasse Viren in the 1972 Munich Olympics with brilliant form! Excellent hip extension, Viren with his R hip, Prefontaine with his L hip. Both were wearing Adidas at this Olympics. 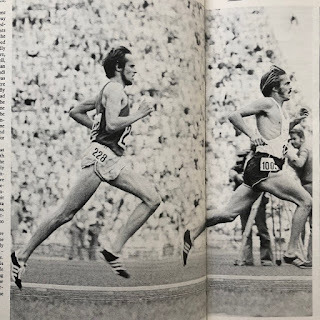 Prefontaine would later be the poster boy for Nike while Viren would do the same for Asics. Want to reduce your risk getting a running injury by half with no equipment needed? It takes less than ten minutes a week. It also helps you become a stronger and faster runner. What's the catch? Some of you will already be asking. It almost sounds to good to be true, but this has well documented research to back it up. Researchers reviewed 15 studies (8459 male and female subjects) across different sports with subjects ranging from 18 to 40 years old. Those that did the Nordic hamstring exercises (also know as Icelandic curls) decreased their injury rates by 51 percent. My patients often struggle when I show them how to do it. We get the patient to kneel at the edge of our treatment bed with both ankles secured. The patient then progressively leans forward from the knees while keeping their back straight. When they can't hold the position any longer, they just use the hands to catch themselves as they fall forward. Please bear in mind that the Nordic hamstring exercise (NHE) is extremely difficult to do. 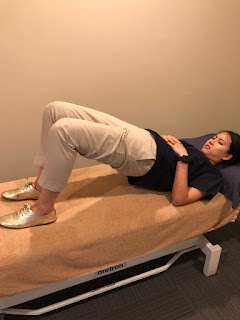 Some of my patients who had their anterior cruciate ligament (ACL) reconstructed can barely manage one rep before their hamstrings start to fatigue/ cramp. It's also quite common to get delayed onset of muscle soreness (DOMs) after attempting the NHE. To progress, you can slowly increase the number of repetitions over two to three months. You can also lean forward further and hold that position longer before you fall forward. 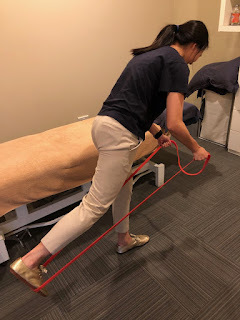 For patients who struggle to do a single repetition, I'll get them to start with another similar exercise to the NHE that lengthens the hamstring at the same time while it's contracting. I get my patients to do the Arabesque first. The patient stands on one straight leg with the other leg behind while attempting to reach forward to touch a bottle or a cone etc. This movement is repeated until fatigue sets in. When the Arabesque becomes easy, they can progress to doing the NHE. The above two exercises are also very useful in Australian Rules football, soccer and rugby since the hamstrings are commonly injured in these sports too. One last tip, if you can't find anyone to hold your ankles while doing the NHE, try putting your feet under a couch with a mat in front to cushion your landing. van Dyk N, Behan FP et al (2019). Including The Nordic Hamstring Hamstring Exercise In Injury Prevention Programmes Halves The Rate Of Hamstring Injuries: A Systematic Review And Meta-analysis Of 8459 Athletes. BJSM. DOI: 10.1136/bjsports-2018-100045. 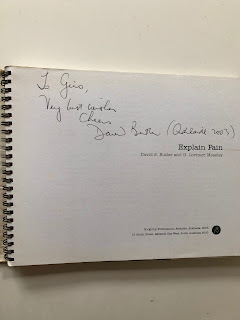 Every now and then we get patients with chronic pain in our clinic, so I was really interested when I saw this case report about a 71 year old woman who feels no pain. I was hoping to find ways to really help these chronic pain patients. She was found to have two notable gene mutations, FAAH-OUT which researchers know to have links to pain sensitivity. The second was a microdeletion in the FAAH gene which reduces pain sensation, accelerated wound healing, reduced anxiety and enhanced fear-extinction memory. This lady sought treatment for a hip issue and was found to have severe degeneration in the hip despite feeling no pain. When researchers looked into her case file, they found that she never reported experiencing pain or needed pain medication after surgery. Even during childbirth, after broken bones and cuts. She was burnt once, but only realized it after smelling her flesh burning! I was then thinking, if an elite athlete had that sort of mutation and felt no pain, would that be a real major performance enhancer? That would surely not be considered as doping. Think of how it would affect you if you were running and attempting to beat your personal best in the marathon. 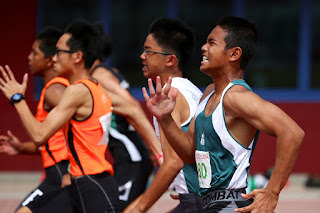 If you didn't feel any pain, nor the burn of accumulating lactate in your muscles when you were clicking out each kilometer at your goal pace. Surely you would be able to keep pace to beat your target time. After thinking about it for a while, I realized that it is not possible. If you experience no pain while training, it would definitely expose you to injuries. Pain is necessary during training to help provide feedback and modulation and of course for adaptation to training. During races, your performance is affected because pain impacts pacing. If you can't feel pain, you wouldn't know how to back off, when to slow down. You will purely be running by numbers (time) and not physiology. That means you wouldn't know when to rest. Over training will become common. Mild injuries will then become severe. Like what I always tell the athletes that I treat, "make pain your best friend". If you can tolerate pain, you will be able to perform your best. 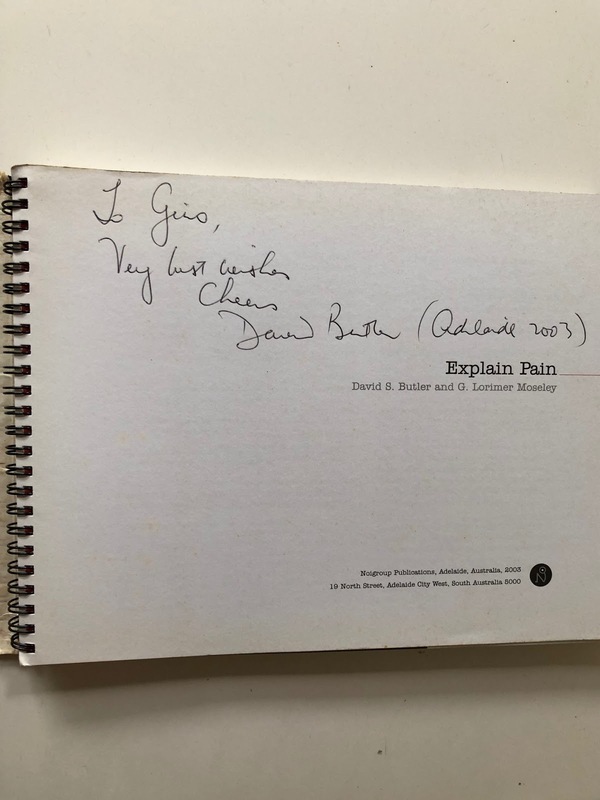 Signed by David Butler himself in 2003. 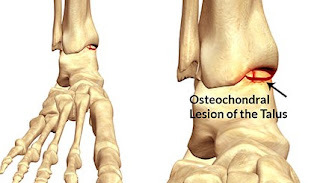 My last patient yesterday suffered an osteochondral injury in her right ankle last July after spraining her ankle while taking part in a trail running camp. Part of the reason may be wearing a new pair of shoes she wasn't used to. Almost half a year later, she was still hoping to do a 50 km trail race earlier this month, but she definitely wasn't even ready to be running yet. Many of her running friends and colleagues (she works in a hospital) can't believe an osteochondral injury can be that serious. In fact, some of the physiotherapists in her hospital don't even know what an osteochondral injury to her talus means. They definitely do not know how to treat her. Hence, you have a runner who works in a hospital, yet comes to Sports Solutions to get treatment. Just like the physiotherapist from another hospital who sees us after her microfracture surgery. In the picture above, you can see where the talus is in the ankle. It is the bone that is below your tibial (shin bone). 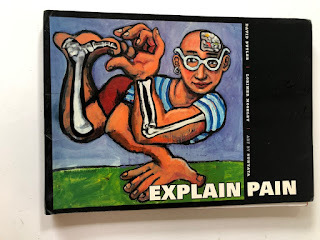 In the scenario where there is an injury to the articular cartilage (which lines the end of our bones to allow for load bearing and friction free movement), there will be both swelling and pain. The main goal of non operative treatment is to allow the injured bone and articular cartilage to heal. Since articular cartilage has poor blood supply, this is not going to happen quickly. Sometimes, crutches or a rocker boot may be necessary to take load off weight bearing. In severe cases, surgery is needed to ensure recovery. After three articles on the operative management on articular cartilage injuries, I think I've covered the topic enough. Just in case you're keen, drilling can be done like the picture you see below to stimulate healing. I've told my patient she can still volunteer at the race whether it's manning a water station, handing out medals or directing runners at checkpoints in the race. She can also lend support and cheer for her friends at the race. Meanwhile, she has also found "a distraction" or another way to motivate herself. She's been going to the gym regularly and her upper body is much more muscular than before. I've told her to keep the long view in mind. If she wants to keep running for the rest of her life it's not worth risking it now. There will be other races for her in future definitely. 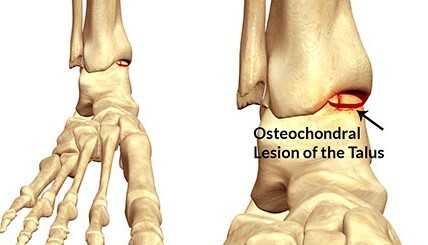 Have an osteochondral injury? Come see us in our clinics. High Intensity Interval Training (HIIT) Reduces Cancer Cell Growth? I've written positively before about the effects of running on cancer a few years ago. Now there seems to be more evidence that even a single session of high intensity interval training (HIIT) may significantly slow the growth of colon cancer cells. Researchers had male colorectal cancer survivors perform either a single HIIT session or do HIIT regularly for a month. After a ten minute warm up, the single HIIT group did four intervals of four minutes cycling (at 85to 95 percent maximum heart rate) with three minutes of recovery in between. The other group did this same session three times a week for a month. Blood samples were taken from these subjects before and after the HIIT sessions. Blood samples before exercise had no effect whatsoever on the cancer cells. Blood samples after the HIIT sessions showed a decrease in the cancer cells immediately. While comparing the single session HIIT group with the other, there was no significant difference in the blood samples. During high intensity exercises, our muscles releases lots of myokines (inflammatory cytokines) compared to moderate intensity exercises. The researchers attributed the cancer cells reduction to cytokines (or inflammatory markers) found in the bloodstream after exercise. The researchers suggested that the reduction in cancer cells in the colon is not specific to those who had cancer before. Other studies have found similar reductions in prostate cancer cells in healthy individuals as well. Every individual tolerates and responds differently to exercises, especially HIIT sessions. Train don't strain is important too. Devin JL, Hill MM et al (2019). Acute High Intensity Interval Exercise Reduces Colon Cancer Cell Growth. J Physiol. DOI: 10.1113/JP277648. 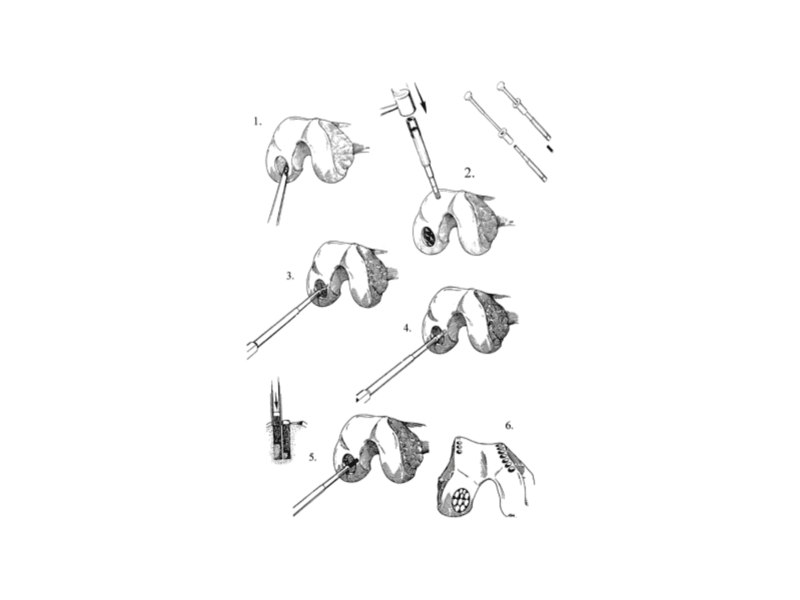 In the two previous posts, we discussed the microfracture technique and the mosaicplasty technique for articular injuries. The third major procedure for articular cartilage injuries is autologous chondrocyte transplanatation (ACT) or autologous chondrocyte implantation (ACI). This is also the most invasive of the three. 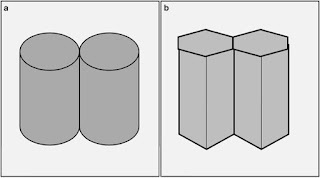 This method is usually chosen if the defect is larger than 5 cm and especially if there's a "kissing lesion" (or touching lesions on two joint surfaces). The patient undergoes two surgeries for this. In the first, a small patch of healthy articular cartilage the size of one of two Tic Tacs is harvested (from the knee) and sent to a laboratory. It is subsequently grown in a protected medium to get more healthy articular cartilage. During the second surgery two to three weeks later, these newly grown articular cartilage cells are placed onto the defect (which is cleaned) to restore the surface. There are of course variations to the three surgical interventions described in these few posts like a cell based scaffolding, stem cells etc. Return to light sporting activities is usually allowed after six months with full return to sports at around nine to twelve months after the second surgery depending on how the patient recovers. These have strong implications for physiotherapists in the management of these disorders as physiotherapists take charge of the patient's rehabilitation program after surgery. Successful rehabilitation for a patient requires the physiotherapist to have knowledge of the biology of articular cartilage and the factors that will influence damage and repair. 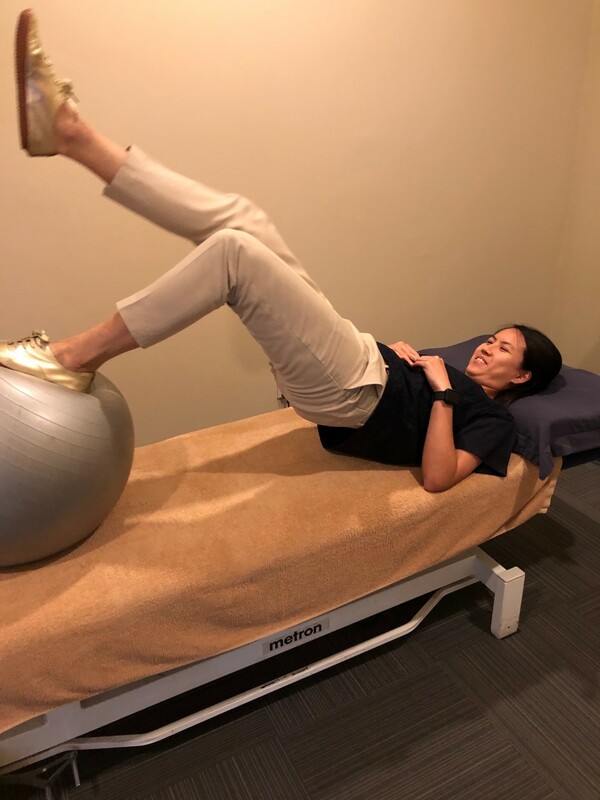 This requires restoring motion and muscle function while reducing functional limitations during weight bearing activities. Patient education and setting of realistic goals based on the extent of the damage is crucial to a successful outcome. The postoperative management of patient varies according to the surgery performed. There are different time frames for non and partial weight bearing, specific physiotherapy treatment and use of continuous passive motion (CPM) machines. Other than improving range, CPM machines provide a mechanical stimulus to joints to promote healing (Sledge, 2001). A good surgical technique is only as good as its rehabilitation. Come and see us if you have articular cartilage injuries as we definitely know what to do. Brittberg M, Lindahl A et al (1994). N Eng J Med. 331(14): 889-95. DOI: 10.1056/NEJM199410063311401. Vasiliadis HS and Wasiak J (2016). 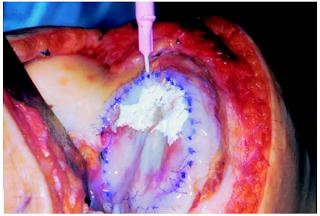 Autologous Chondrocyte Implantation For Full Thickness Articular Cartilage Defects Of The Knee. Cochrane Database of Systematic Reviews. Issue 10. Art. No CD003323. DOI: 10.1002/14651858.CD003323.pub3. Sledge, SL (2001). Microfracture Techniques In The Treatment Of Osteochondral Injuries. Clinics Sp Med. 20(2): 365-377. Last week we discussed the microfracture technique for articular cartilage injuries. Many of my patients who read the article commented that they did not realize it was such a serious condition. Yes, indeed, having an articular cartilage injury is worse than tearing your anterior cruciate ligament (ACL). The lengthy rehabilitation makes it much worse. Generally, the microfracture technique works well only for the smaller lesions (less than 3 cm). If the size of the defect is larger, the surgeon would usually perform mosaicplasty or autologous chondrocyte transplantation (ACT). The latter procedure works better if there is a "kissing lesion" (defect on both joint surfaces). 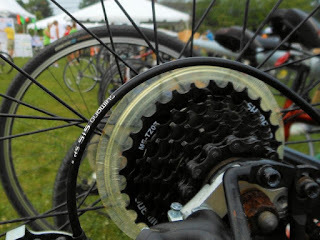 I wrote that the microfracture technique was made popular by Richard Steadman. For mosaicplasty, it is Professor Laszlo Hangody from Hungary who has probably performed the most procedures and published the most articles on the topic. 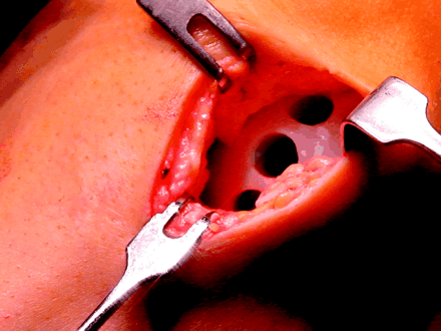 Mosaicplasty is a technique in which small bone plugs with healthy hyaline cartilage are taken and then transplanted to cover the defect in the damaged area. The bone plugs are usually taken from an area that is non weight bearing to cover the defect in the affected area. The end result ends up looking like mosaic tiles, hence the name mosaicplasty. The hope is that the body will not miss the taken parts and it can be used where it is needed. Over time, the holes in that part of bone that is taken will fill with bone and scar tissue. The bone plugs can be from the patient or from fresh cadavers. 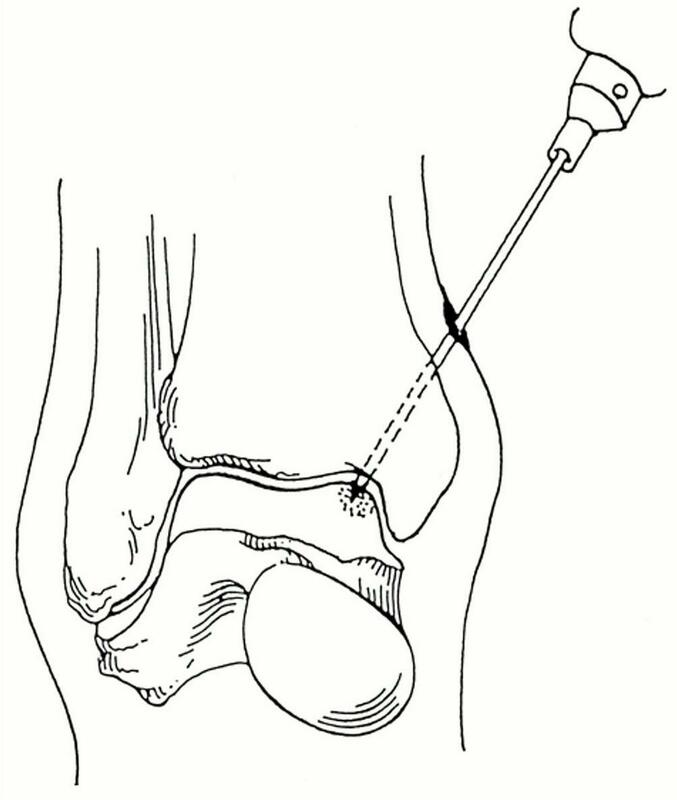 The above diagram shows the procedure done on a patient's knee, but it can be done on the ankle, hip and other weight bearing articular surfaces too. 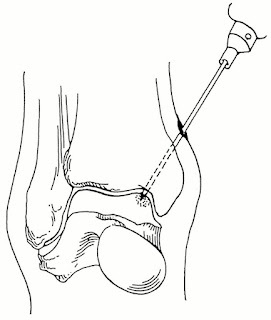 A similar technique to mosaicplasty is Osteochondral Autograft Transfer System or (OATS). The bone plugs used in OATS are usually larger and usually only one or two plugs are needed to fill the area of damage. See the gaps in between the bone plugs? 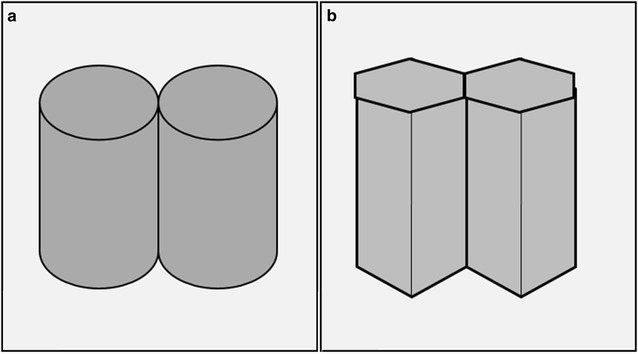 In the above pictures, you can see that there are still gaps between the cylindrical bone plugs. This is the main problem with this particular technique. The defect is not filled completely and the gaps normally fill up with fibrocartilage. There is then a worry about how this holds up over time, especially if the patient is keen on returning to sports. Recently, there has been an improvement/ modification to this technique. A group of researchers, inspired by the honey comb structure of a beehive of honey bees decided to use hexagonal shaped bone plugs instead of the cylindrical ones used previously. This is to eliminate the gaps while performing the procedure. 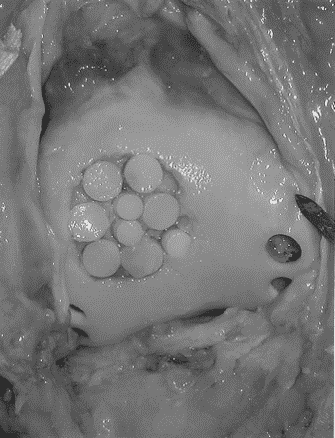 The authors named it hexagonal osteochondral graft system (HOGS). Early outcomes of HOGS seemed comparable to mosaicplasty and promising at this stage although further follow up needs to be done. Advantages of mosaicplasty are that only one operation is needed (compared to two in ACT) and hence lower cost and less down time. There is less risk of disease transmission and there is a high percentage of hyaline cartilage for the damaged surface. 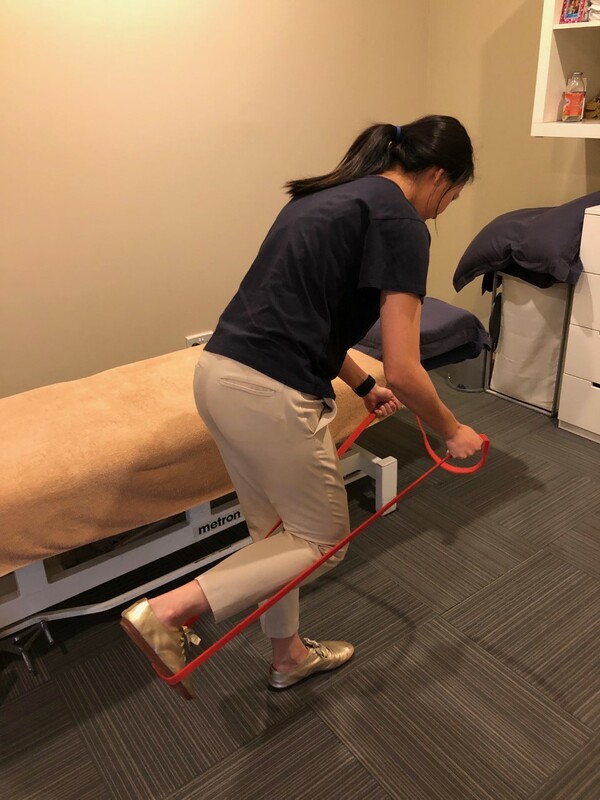 These procedures require the physiotherapist treating the patient to have knowledge of the biology of articular cartilage and the factors that may influence degradation and repair. The physiotherapist needs to know the nature, location, size of lesion and the surgical procedure performed. Rehabilitation should address the patient's impairments and functional limitations without jeopardizing healing of the lesion. I remember back in 1999, as a young physiotherapist a patient told me he had mosaicplasty done and I had asked him what it was. 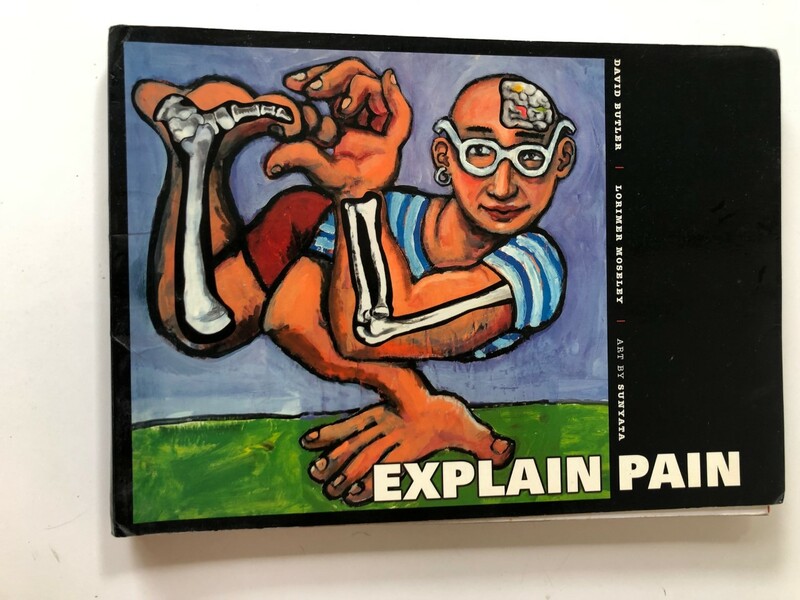 That piqued my interest in articular cartilage injuries and especially so when I later had to have a microfracture procedure done on my right knee in 2003. That also was why I did postgraduate work in that area as I desperately wanted to compete again. 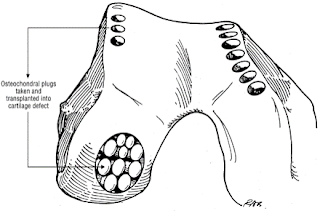 My next post will be on the autologous chondrocyte transplantation/ implantation (ACT) procedure. Erol MF and Karakoyun O. (2016). A New Point Of View For Mosaicplasty In The Treatment Of Focal Cartilage Defects Of Knee Joint: Honeycomb Pattern. SpringerPlus. 5(1): 1170. DOI: 10.1186/s40064-016-2796-y. Gracitelli GC, Moraes VY et al (2016). 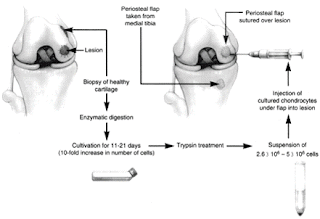 Surgical Interventions (Microfracture, Drilling, Mosaicplasty And Allograft Transplantation) For Treating Isolated Cartilage Defects Of The Knee In Adults. Cochrane Database of Systematic Reviews. Issue 9. Art. No CD10675. 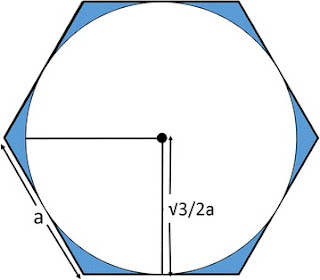 DOI: 10.1002/4651858.CD010675.pub2. Hangody L and Balo E (2011). 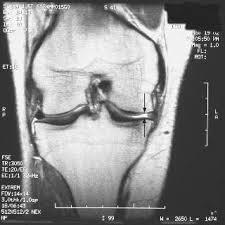 Autologous Osteochondral Mosaicplasty. In Sanchis-Alfonso V. (eds). Anterior Knee Pain And Patellar Instability, London. What Better Than To Run With A Physiotherapist? Learn Pain Free Running Techniques. We start at 43 Jalan Merah Saga every Thursday at 630pm. Call us at 64751218 to let us know you're joining us. 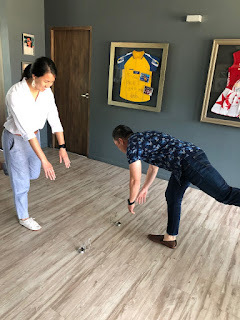 Prior to joining Physio Solutions and starting up Sports Solutions, Gino Ng worked as a senior sports physiotherapist at the Singapore Sports Council (SSC) from 1999-2009. He graduated with a double masters in Musculoskeletal and Sports Physiotherapy from the University of South Australia on a SSC sponsorship. 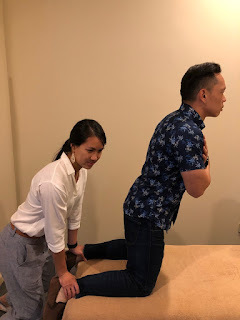 Gino's position is perhaps most unique amongst sports physiotherapists in Singapore having seen all sides of the field as a practitioner, an athlete and as a patient. His special interests are in the treatment of articular cartilage injuries having done research in the area whilst undergoing his postgraduate training. He specializes in treating sports injuries, as well as devising sports rehabilitation programmes after reconstructive surgeries to the shoulder, knee and ankle joints. As a former national triathlete, Gino is a 2-time Singapore National Triathlon champion (2000-2001), National Duathlon champion (2001), 10-time winner of the National Vertical Marathon (1998-2001, 2004-2005, 2007-2010). 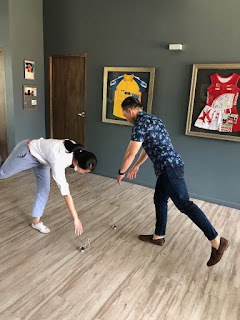 He has also placed 4th at the 2001 Asian Duathlon Championships in Hong Kong and made several podium finishes in the Asian Cup Triathlon Series events over the years while holding down a full time job as a physiotherapist. Partly as a result of his gruelling training regime, Gino needed 3 knee surgeries in 2002 and 2003. After which he made a comeback and placed 4th in the 2005 SEA Games triathlon event. When not participating, Gino has kept close to sports, travelling widely with the Singapore medical teams for major overseas events such as the various SEA Games, 2002, 2006 Commonwealth Games, the 2006 Asian Games and he is the only local Singaporean physiotherapist to have been to both the 2004 Athens and 2008 Beijing Olympics. Gino is also one of only two certified Kinesio Taping Instructors (CKTI) in Singapore and teaches the Kinesio Taping Level 1, 2, 3 & 4 courses. He is also a frequent speaker at symposiums and sporting events. While out cycling in April 2013, Gino had an accident and fractured his skull and spine. Thankfully, he is a lot better now and is back working part time. Having neck and back pain? Well, now you know who came back from a broken skull and back. Thank you for visiting WeLoveRunning! We'd like to share thoughts, ideas and tips we think are useful for all athletes and patients. Leave a comment if you have a question.